I was invited to sample the kebab fest that is happening at Skillet. When they said Kebab fest, all I had in my mind was huge skewers of kebabs. But as usual, I was in for a surprise. The tent card on the table had a listing of quite a good number of kebabs on it 3 veg and some 7 non-veg variants. Met up with Chef Ganesh who explained about the fest. You have the choice to order any three kebabs from the card. 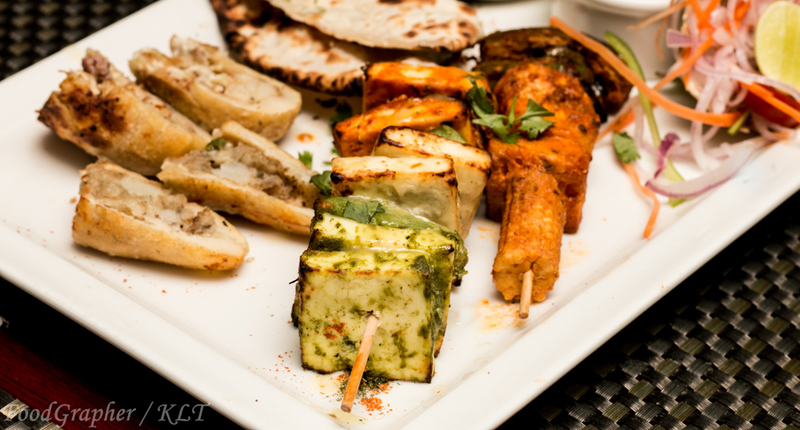 The kebabs are served along with two pieces of Naan or Roti and bowl of realy tasty Dal. Not just that, you are also served a glass of domestic wine. All this for 400 (inclusive of tax). Great deal ain’t it?. but how were the kebabs? 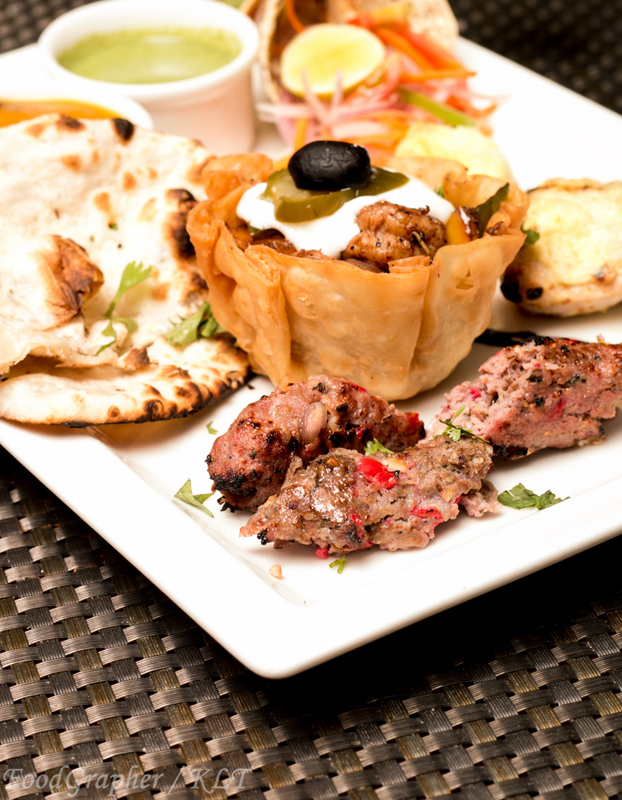 Chef Ganesh has mixed and matched various condiments from around the world in place of the traditional ones. The prawn kebab bowl was topped with a piece of olive and jalapeno, the bowl was edible too. 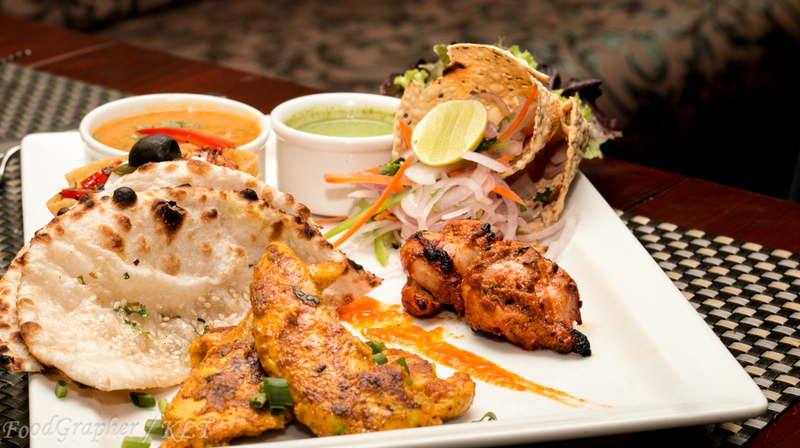 And my favourite was the chicken kebab done with English mustard sauce. But for me, the pick of the lot was the mexican chicken. The fest is till end of this month. So hurry, it is definitely worth it. 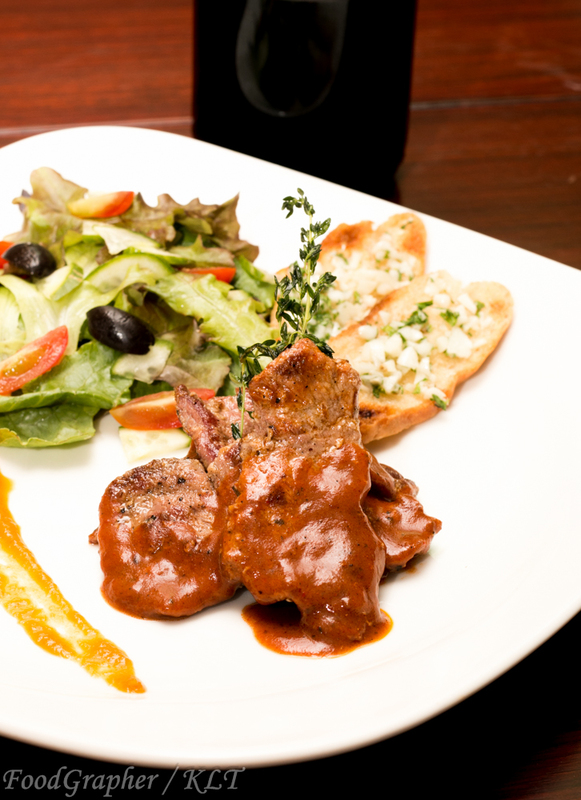 This entry was posted in Continental, Indian, Mediterranean, Non-Vegetarian and tagged Hablis, kebabs, skillet, wine. Bookmark the permalink.